Choreographer Lia Haraki presents a production for a childrens’ audience, where movement, music and vocal sound create a perfectly functional universe, without the use of text. JAKATOYMBA is a colorful interactive dance theatre performance for children and for the whole family on the value of free expression, diversity and the magic of adventure. Some of Cyprus’ best professional dancers such as Arianna Marcoulides, Panayiotis Tofi and Rania Glimitsa will be leading the show to the music of Costas Cacoyannis as well as live electronics and sound design by Christos Hadjichristou. Τhe set design was made by Eva Korae. DESCRIPTION: Yakinthi, a little girl, opens her last birthday present which is a microphone but is too shy to use it. In her dream she finds herself in a land of sound where the different characters who speak their own language together with the help of the audience, will encourage her to eventually find her own way of expressing herself. THE MEANING OF THE WORK: The piece aims to be a reminder and an inspiration to children regarding the natural gifts they are already blessed with which are essentially creativity, imagination, the pleasure of experiencing the world through the senses, the strength of character when facing fears, the openness towards adventure and play, the courage needed for expressing one’s self and the joy triggered by movement and sound. With a background of 13 years of creation that includes her participation in the Venice Biennale for visual Arts in 2013 with the solo performance TUNE IN, international touring and numerous choreography awards, Limassol-born artist Lia Haraki continues to inspire and contribute to the Cypriot and International dance scene. 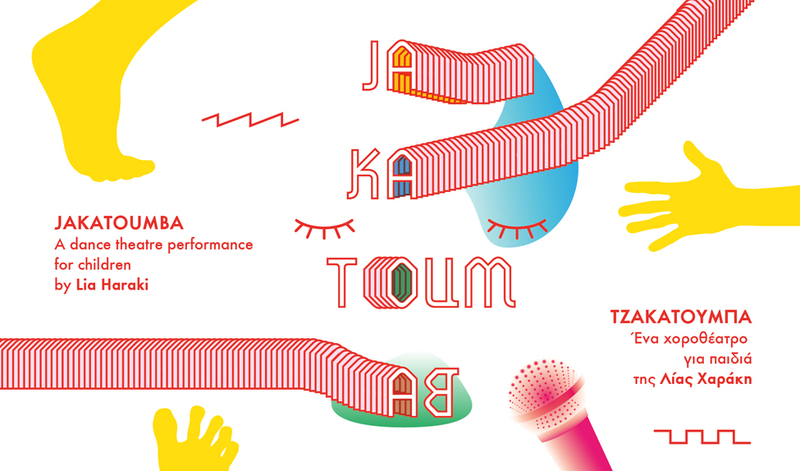 Free workshops of creative movement with the use of voice and technology will be given by the JAKATOUMBA creative team to children with a performance ticket (there will be sign up forms at the theatre entrance). Workshops dates: October 29th or November 6that the Dance House Lemesos. Of the shows will be donated to the Centre for Preventive Paediatrics. For 5 year old children and over. Τhere is no use of text in the performance and therefore children of all languages may attend.